The seventh episode of Extraordinary Faith made its debut on EWTN on October 20, 2015. Little advance notice was given to us, so we could not publicize it in this column in time. 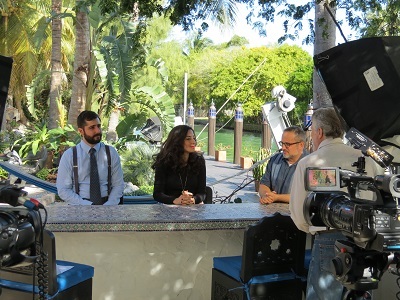 The second of two shows filmed in Miami, this program has a special focus on the young. Our first guest is Aramis Perez, one of the leaders of Juventútem Miami, the local chapter of the international young adults’ group devoted to the Tridentine Mass. Aramis gives us some background on the activities of his chapter, including Masses at churches around metro Miami and social events similar to those offered by our local chapter, Juventútem Michigan. Our crew dropped in on a local coffee shop, where the “Juventúters” give us some background on themselves and on their Dogma on Draft discussion group. Three young ladies explain to our viewers the tradition of women covering their heads for Mass with lace mantillas. 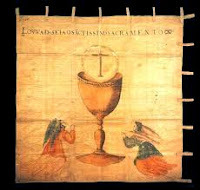 Next we speak with a panel of converts, including a young couple who decided to become Catholic after happening to wander into a Latin Mass in Oxford, England. Latin Mass luminary Dr. Jennifer Donelson shares her experience with the Miami Tridentine Community. Jenny is already known to Extraordinary Faith viewers for having organized the Church Music Association of America conference in St. Paul, Minnesota, which we featured in Episode 3. [Jenny has since been appointed Director of Sacred Music at St. Joseph Seminary, Dunwoodie, New York.] 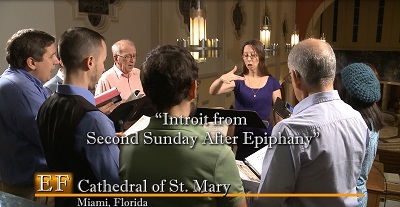 We drop in on a sonically impressive rehearsal of Jenny’s choir, held at Miami’s Cathedral of St. Mary. 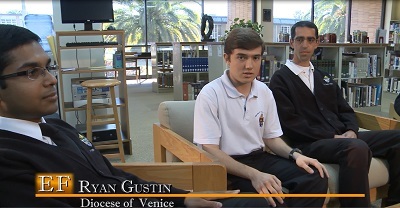 Our last stop is Miami’s St. John Vianney College Seminary, where we meet several seminarians who share with us how the traditions of the Church impact their pursuit of a vocation to the priesthood. Both Miami episodes – 6 & 7 – will be available for viewing by December 5 on the Episode pages of our web site, www.extraordinaryfaith.tv. All of our episodes are also available for viewing on YouTube. You can subscribe to the Extraordinary Faith channels on both Vimeo and YouTube to be notified automatically when new episodes are posted. 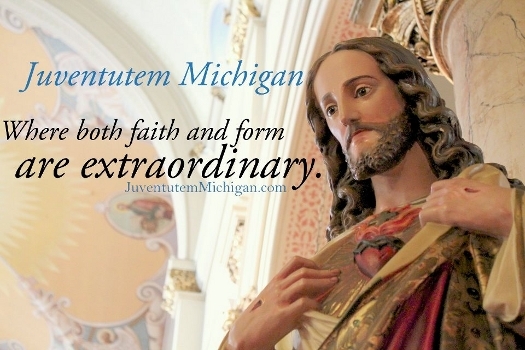 Please also ”like” the Extraordinary Faith Facebook page, where we post the latest EWTN air times and news about the sites we visit. Sun. 12/06 12:15 PM: Pontifical Missa Cantata at St. Mary Star of the Sea, Jackson, Michigan (Second Sunday of Advent) - Celebrant: Bishop Earl Boyea. Reception after Mass.